Asset protection planning is the best way for wealthy individuals to keep what they have worked so hard to earn. It is no secret that today’s society is becoming more and more litigious every day. Those in high liability professions, such as doctors and lawyers, face even greater risk. The best asset protection structures are those that make it the most difficult for creditors to attack assets. 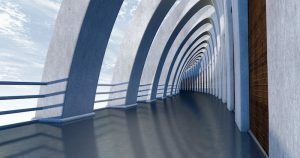 Generally speaking, offshore asset protection structures are more effective than domestic structures because they make assets harder to reach. Multi-entity offshore asset protection structures provide the best asset protection available because they offer multiple layers of asset protection in jurisdictions with favorable laws. Keep in mind, every individual has different asset protection needs. For this reason, it is essential to work with a qualified asset protection specialist in order to choose the best structure. 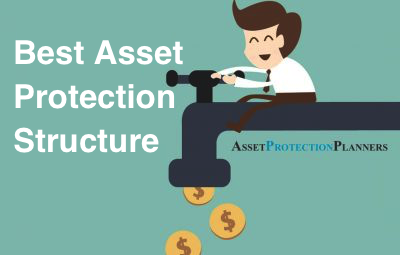 What Is An Asset Protection Structure? Asset protection structures are legal tools used separately or together to hold assets in a way that shields them from the claims of potential creditors. Asset protection structures can range from very simple to very complex. An example of a popular asset protection structure would be using a limited liability company in combination with an asset protection trust. The need for strong asset protection structures continues to grow as the threat of lawsuits and liabilities increases. There are many different sources of liability that people in the US face today. The first step in choosing the correct asset protection structure is assessing the types of liability that an individual must protect against. One of the most risky forms of liability can be found in the form of general negligence and court claims. These can arise from a variety of common circumstances including car accidents or slip and fall cases. Contract liability is another form of liability to consider with regards to asset protection. Consumer debt, loan obligations, and breach of contract claims are all considered examples of contract liability. These types of claims pose a significant threat to business owners. This is especially true if they personally guarantee business loans and other business obligations. Doing business as a sole proprietorship or general partnership increases this level of risk dramatically. Employer liability must also be considered. If a person is an employer, they face liability from lawsuits as a result of wrongful termination claims. They may also be sued for sexual harassment, discrimination, or failing to comply with the Americans with Disabilities Act. Asset protection structures can also prove important with regards to a wealthy individual’s estate. The heirs of these individuals may have substance abuse problems, gambling addictions, and creditor problems. As a result, an estate may not be used as it’s owner intended. This could be the result of an inheritance is seized by creditors or spent by a spendthrift heir. One of the most common reasons for needing asset protection is divorce. Nobody wants to think that their marriage will end in divorce. However, this is an unfortunate reality for many individuals. It is far better to plan for a worst case scenario than to be taken by surprise. The most effective asset protection structures available involve using multiple legal entities in favorable offshore jurisdictions. One popular multi-entity structure is using an offshore trust in combination with an offshore limited liability company. The trust should own all of the LLC. The settlor then transfer his assets to the LLC. The settlor of the trust is named as the manager of the limited liability company. Under normal circumstances, the settlor can control the assets held in the trust. In times of legal duress, the trustee can assume the managerial role of the limited liability company. This results in the settlor of the trust will be legally separated from ownership of the assets to shield them from creditor attack. It is very difficult for creditors of the settlor to attack assets which are held within the LLC. The creditor is required to pierce through both legal entities in order to pursue the assets. 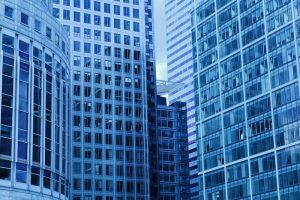 If the trust and LLC are both located in favorable offshore jurisdictions, it will be nearly impossible for creditors to touch the assets. There are a number of ways that wealthy individuals can protect their assets. The tools described below are legal vehicles for asset protection. They may be used alone or in combination with one another in order to create stronger asset protection structures. Trusts are one of the most popular asset protection tools. There are a number of different types of trusts available. They are availed of for different reasons. The most popular type of trust for asset protection is the self-settled spendthrift trust. These trusts allow settlors to also act as beneficiaries of the trust. As a result, settlors may use self-settled spendthrift trusts to protect their own assets. In some circumstances, the settlor of a trust may also act as a co-trustee. However, in this circumstance another trustee must be appointed. This trustee must be in control of distributions of assets from the trust to the settlor. This is essential for the trust to offer asset protection. There are a number of jurisdictions that provide for the settling of asset protection trusts. Trusts settled for asset protection in the United States are referred to as domestic asset protection trusts. Domestic asset protection trusts are available, as of this writing, in 17 different states. Settlors may be able to use them to protect assets from creditors. However, all of these states except Nevada allow for exception creditors. These creditors include state and local governments for tax purposes, alimony and child support creditors, and tort creditors. Domestic asset protection trusts are also subject to the laws of the jurisdiction where they are settled. Offshore asset protection trusts offer a number of advantages over domestic asset protection trusts. The courts will not uphold foreign judgments in many favorable jurisdictions. Claims against the assets of the settlor of an offshore trust would have to travel to the jurisdiction where the trust is held. Creditors would then be required to go through the process of filing another lawsuit. The time and cost associated with doing so often discourages creditors from pursuing assets held in foreign asset protection trusts. There are a number of business entities businesspeople may be use to protect assets. These entities include corporations, limited liability companies, and limited partnerships. They provide asset protection because they are considered to be separate legal entities from their owners. 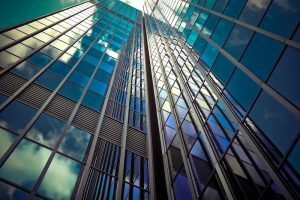 This is known as the “corporate veil.” The personal assets of the owner of the business may not be subjected to claims as a result of the debts and obligation of the business. Conversely, the owners’ personal creditors cannot claim the assets held within the business. Choice of jurisdiction is critical when it comes to using business entities for asset protection. This is because business entities are subject to the laws of the jurisdiction in which they are incorporated. Offshore jurisdictions almost always offer laws that are favorable when compared to domestic jurisdictions for asset protection. One simple way to protect assets is to invest in assets that are considered exempted by the government. There are federal and state laws that protect certain types of assets from creditors. Qualified Retirement Plans and 401k Plans are examples of exempted assets. Federal ERISA laws cover these assets. These laws protect the assets from the claims of creditors. These laws do not cover IRA’s. However, certain states, including Illinois, classify IRA’s as exempt assets. Social security benefits, disability payments, unemployment benefits, and public assistance benefits are all considered exempt assets. Life insurance policies where the proceeds are payable upon the death to a spouse, parent, child or dependent are also frequently exempted. It is also very important to consider what will happen to an individual’s primary residence when faced with liability. There are few worse outcomes imaginable than ending up without a home. A homestead exemption protects the value of a person’s personal residence from property taxes and creditors. This asset protection tool is incredibly important since US real estate is always subject to the laws of the jurisdiction where it is located. Homestead exemptions are automatic in certain states. In other states the homestead exemption is not automatic. Homeowners in these states must file a claim for the homestead exemption. Insurance is one of the most common legal vehicles used for asset protection is liability insurance. However, it is also important to consider umbrella insurance. This type of insurance can help to protect policyholders from major claims. It provides coverage above and beyond the normal limits of homeowner, auto, and other types of insurance policies. It also provides coverage for claims that may not ordinarily be covered, such as slander and libel claims. Insurance coverage can be used to cover court costs and attorney fees. However, it is possible that the insurer will deny insurance claims. For this reason, it is almost always advisable to use insurance in combination with other asset protection tools.